Today Her Majesty Queen Elizabeth II becomes the longest-reigning monarch in British history. As Patron of Royal Commonwealth Ex Services Leauge (RCEL), she is a defacto Patron of the South African Legion as a founding member of the RCEL. It is for this reason that The South African Legion has the privilage her royal crown on top of our Springbok emblem. This is history in the making, she becomes the longest reigning monarch in 1,000 years of British history this afternoon. Her Majesty out-reigns her great-great grandmother Queen Victoria is not precise, due to the uncertainty of the timing of the death of her father, George VI, who died in his sleep. But Buckingham Palace has estimated, to be absolutely safe, she will pass Victoria’s 23,226 days, 16 hours and 23 minutes at around 5.30pm. That calculation assumes George VI’s death was around 1am, and factors in extra leap days in the reigns of “Elizabeth the Steadfast”, as she has been described, and the Queen Empress. 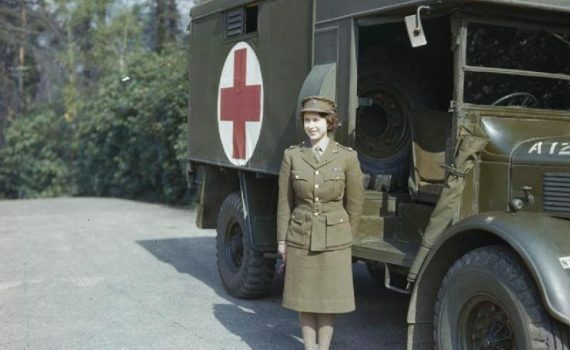 In her 21st birthday broadcast to the Commonwealth, Princess Elizabeth memorably promised that “my whole life, whether it be long or short, shall be devoted to your service”. She could not have expected as she said those words that the burden of monarchy would fall on her shoulders so soon afterwards, but more than 63 years after she ascended the throne, the Queen has never wavered from that pledge. Long may she reign. Congratulations to Her Majesty, and thank you for her support as our Patron.